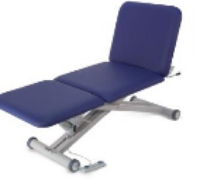 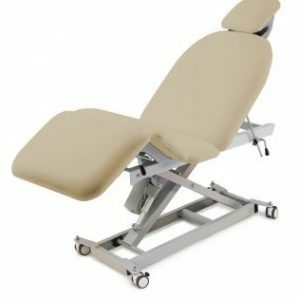 Designed as a multi use table the ECO Podiatry Table can be also used as aeco-podiatry 01 Treatment or Examination Table. 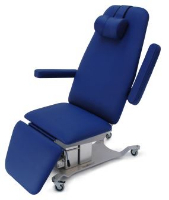 The armrests are easily removable, the backrest reclines and the leg cushion is fully adjustable. 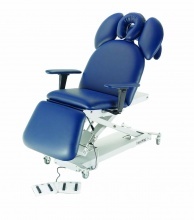 An additional electric seat tilt allowing a higher heel height of 1100mm.